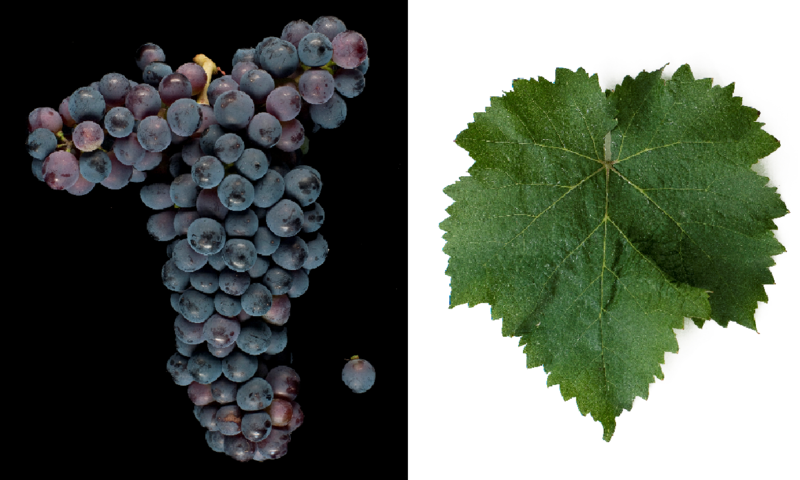 The red grape variety comes from France. Carbony, Chanu, Chany, Chenu, Charagnot, Charamiot, Chatelos, Chatelus, Chatos, Châtut, Corbeil, Corbel, Corbel, Corbel Mouret, Corbell, Corbès, Corbesse, Cornaglietta, Houron, Korbel, Mouraud, Mouret, Mourre, Noir de Maure, Ouron, Persay Gamay, Siramuse, Syramhuse, Vert Chenu ( France ); Bolgnino, Bourgnin, Brachet, Brunetta, Nebbiolo di Dronero, Nebbiolo Dronero, Nebbiolo Pairolè, Neiret, Neiret Pinerolese, Neretto, Scarlattin ( Italy ). The medium to late ripening vine is prone to both mildews and against wintry frost, It provides a deep dark, tannin-rich red wine with storage potential. The variety was first described in 1600 by the Frenchman Olivier de Serres (1539-1619), known as the "Father of Agronomy". The name probably derives from Chatus, a district of Verclause in the Département Drôme from. Before the Phylloxera disaster It was widespread around the French Massif Central, but has since experienced a strong reduction. The already endangered variety was revived in the late 1990s. In the department Ardèche it occupies again 66 hectares with increasing tendency. There is mostly with Syrah blended. In Italy she will be in Piedmont grown under the above mentioned name and mostly used in blending. She is there in the DOC wines Colline Saluzzesi. Pinerolese and Valsusa authorized. The Italian acreage is 13 hectares. In 2013, a total of 79 hectares of vineyards were reported (Kym Anderson ). This page was last modified at 26 December 2018 at 08:35.